If you're not getting enough calcium in your everyday diet, your bone health may be suffering. 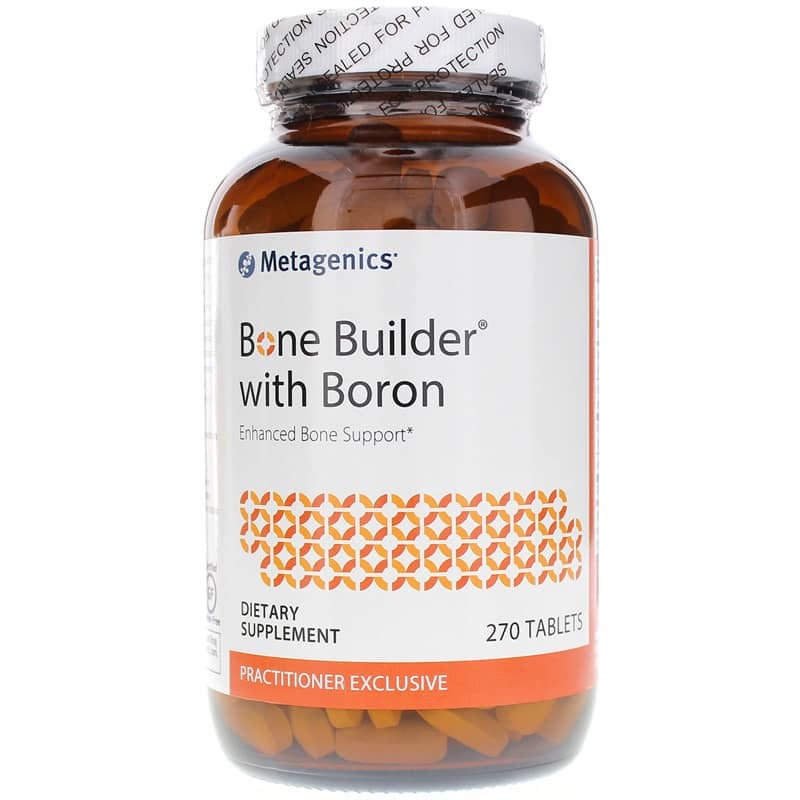 Bone Builder with Boron from Metagenics gives you all of the nutrients your body needs for complete bone health, including calcium. 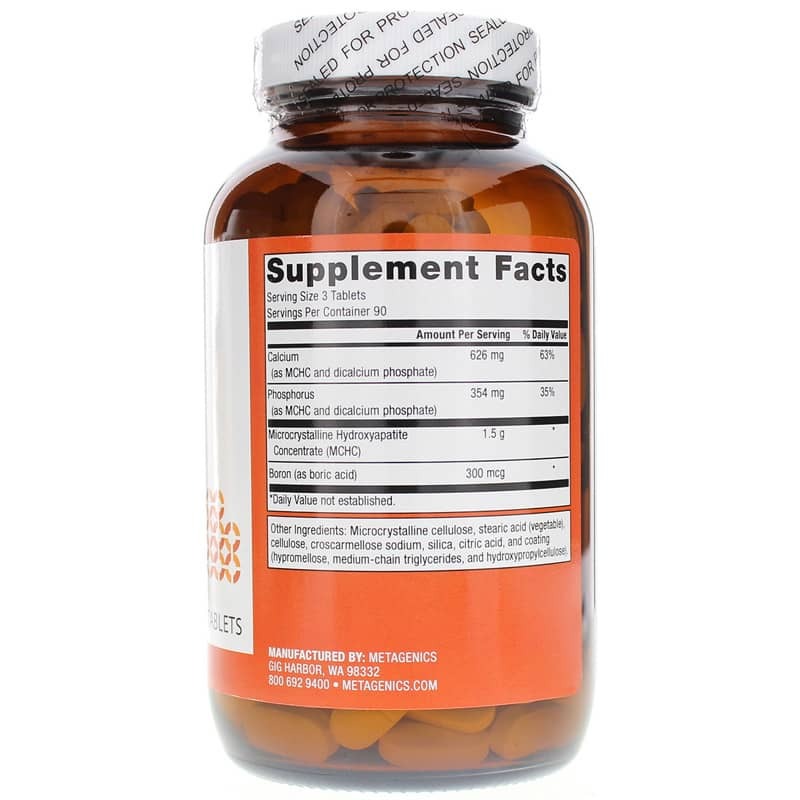 Bone Builder with Boron provides optimal support for new bone formation and healthy bone mass, and also may help slow bone loss related to the aging process. It's made without the use of artificial additives, and contains none of the most common food allergens. Don't let a lack of calcium compromise your bone health. Start using Bone Builder with Boron from Metagenics today and get the calcium your body needs for complete bone health, in addition to other nutrients. Order yours now and see the difference it can make in your overall health. 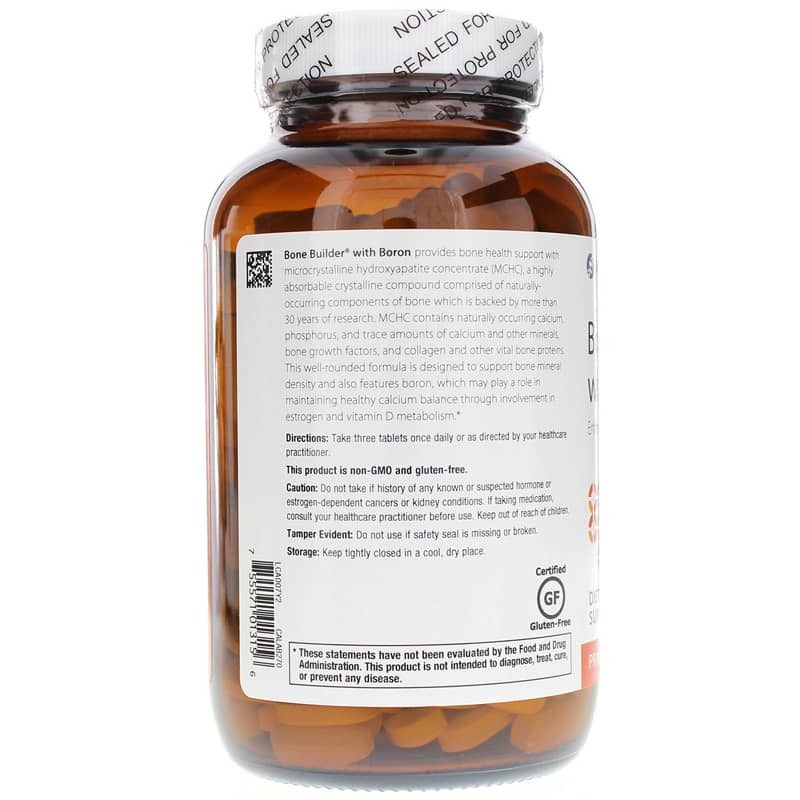 Other Ingredients: Microcrystalline cellulose, stearic acid (vegetable), cellulose, croscarmellose sodium, silica, and coating (hypromellose, medium chain triglycerides, and hydroxypropylcellulose). Adults: Take 3 tablets once daily or as directed by your health care professional. A well known and renowned Chiropractic Kinesiologist recommended this bone builder for my wife. She has been taking this for a year now, and her her bone density has improved. I switch to this formula. I was taking a different one with magnesium but thought I would try this one instead. I thought maybe I was getting to much magnesium but I think my body requires that much so I maybe switching back.